Access to information is a particularly powerful tool in countries like Colombia, where corruption is high and vital peace treaties are underway. To make accessing information easier for citizens and public authorities alike, a group of journalists in Bogotá including DataSketch, have recently set up the Freedom of Information request platform QueremosDatos (the name of which translates as “We want data/information”). The platform uses our Alaveteli software, and we thoroughly enjoyed working with the Colombian team to set the site up with them. 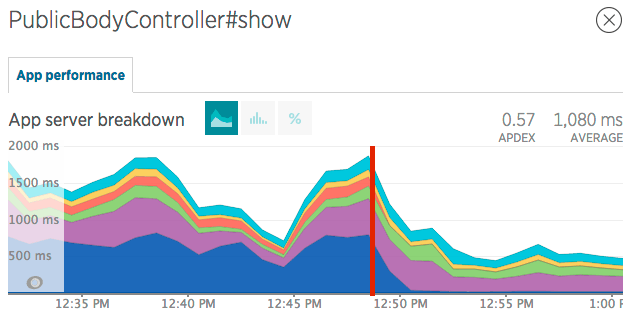 Why did you decide to set up QueremosDatos? I first learned about Alaveteli in Spain while I was doing my Masters in Investigative Journalism. There I was introduced to the platform TuDerechoASaber.es and to the power that FOIA and transparency had. I just knew Colombia needed something like that, especially since the Congress had just approved the first law regarding this matter. What made you choose to use Alaveteli software for your platform? What I love about Alaveteli is how easy it is to use for both users and admins. Designing the platform and making it useful for any type of person was the most attractive feature Alaveteli had. But also, because of the people behind it. Gemma, Gareth, and so many more people were ready to help me achieve this goal despite the different time zones and how much time it took to get it up and running. What impact do you hope the site has? It has been almost six months since we launched the site. The impact has been great! We have helped people make 274 requests to more than 6,000 authorities. The Government has been interested in the project and has helped us get in touch with different authorities to help them learn about FOIA and the Colombian law and how to work with people through the platform. Users love it, especially journalists. Which responses on the site have you been most excited about seeing? My favourite response so far has been one regarding victims of the Colombian conflict. It was very exciting to get the information because of what it meant for the person who was requesting it, and because of the historical context my country is going through. I also enjoyed seeing the transformation the police had when giving their answers: at first they always sent a response asking the user to call them. After a few explanations, they’re now sending complete answers to the requests via the site. Do you know of examples where information obtained through the site has been used? Yes! Journalists have used it mostly in ongoing investigations regarding medicines, drug trafficking, and abortion. Students have used it for journalism classes and homework too. What are your future plans for QueremosDatos? We are confirming an alliance with the government to promote the site in public offices and to teach public servants about what the Right to Know is, and their responsibilities with it. This pedagogy will be replicated in universities to teach different users about their power to request information. Many thanks to María for answering our questions. It’s been great to see the impact the site has already had on authorities and citizens alike, especially the change in behaviour by certain public authorities. We’re really looking forward to following the project’s continuing work, and wish the team the utmost success in their quest to make Colombia a much more transparent society! We recently explained how to use pre-written Freedom of Information requests for a campaign. We’re glad to see this being used by AskTheEU, the Alaveteli site for Europe. Today, AskTheEU launches a campaign to request the travel expenses of EU Commissioners — and they are calling on the public to help submit a total of 168 requests. No matter what your feeling are towards the EU (let’s not even go there), we hope that everyone is in favour of transparency. AskTheEU’s campaign follows the discovery from a request that Commission President Jean-Claude Juncker spent €63,000 on an air taxi to Turkey for the G20 summit. Naturally, they were keen to know whether this level of spending is replicated across the organisation. After a two-year battle, AskTheEU’s parent organisation Access Info has established that the European Commission will provide information on Commissioner’s travel expenses, but only in two-month bundles. They’ve already made a start: after submitting legal appeals and new requests, Access Info won access to a handful of documents about the travel expenses of five Commissioners: these can be seen here. But there’s plenty more to discover, and that’s where the general public comes in. Thanks to the pre-written requests function, all the hard work is already done: it’s just a matter of picking one or two time periods and submitting the already-composed request. Anyone can participate by going to the campaign website from today. All requests and responses will be made public on AsktheEU. Image © European Union 2014 – European Parliament (CC by-nc-nd/2.0). We’ve just released Alaveteli 0.22! Its a big one, with over 400 commits and lots of general improvements. 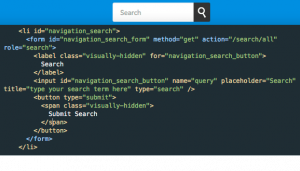 Luke Bacon improved the design and accessibility of the search form. Code quality came top of the list at AlaveteliCon 2015. This release includes contributions from James McKinney, Henare Degan, Caleb Tutty, Petter Reinholdtsen and Gorm Eriksen – all helping to clean up code, make Alaveteli work even better and make it easier to translate. WhatDoTheyKnow’s Public Authority pages were suffering, so we took a dive in to the code around this area. Improving it had a huge impact on the page we were looking at and should have benefits across the application. We’ve added fixes for CVE-2015-3225, CVE-2015-3227 and CVE-2015-1840, and updated xapian-full-alaveteli for Ruby 2.1 compatibility. We’re always trying to think of more ways to promote an Alaveteli site, so this release includes new feature developed by Jody McIntyre for the AskTheEU Alaveteli site. When enabled, each request has a “Create a widget for this request” action available in the sidebar. Any visitor can copy the iframe embed code to paste on their own website. It’s just a flick of the switch to enable widgets for all requests on your site! Alaveteli 0.22 is the last release to support Ruby 1.8. We’ve got an upgrading guide available, and we’re always here to help on the alaveteli-dev mailing list. Thanks again to everyone who’s contributed. No matter where you are in the world, if you run a Freedom of Information site, you’ll come up against one common issue: how to get people to use it. It’s not just the usual hurdle that any new website faces, of getting publicity. 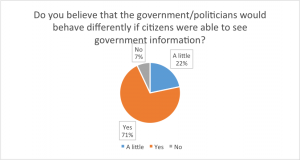 There’s often a lack of knowledge among the general population about the whole concept of Freedom of Information, and the rights that come with it. Not only do users have to know about the site, but they have to understand why it might be useful for them. The Freedom of Information conference, AlaveteliCon, was a great place to share ideas on how best to counter that. Here are ten strategies you can put into place right now. Freedom of Information can be rather an abstract concept to the average person, so your tweets, blog posts and press releases might not be getting through to them. You might make a cheap, fun and informative video by going out onto the street and asking such pre-prepared questions to passers-by. Alaveteli is built so that it naturally performs well in search engines: the title of any request also becomes the title of the page, one of the main things that Google will consider when deciding how to rank a page for any given search term. And when useful or interesting material is released as a result of a request, that will attract inbound links and again, will be reflected in Google rankings. The net result of this is that many users will come to your Alaveteli site because they’re interested in a specific topic, rather than because they want to make an FOI request. They may never even have heard of FOI, but they surely want to know about hospital mortality rates or cycling accidents in their local area. A request on WhatDoTheyKnow, about the faulty brakes on a VW Passat, is one of the consistently most visited pages on the site. Even though the request itself remains unanswered, the page has become a place for Passat drivers to exchange knowledge and experiences. Pages such as these may even be more frequently visited than your site’s homepage. Look at request pages as a first-time viewer would, and ask yourself if it’s clear exactly what site they have landed on, and what it is for. Also: once you have created a community of people with a common interest (like the faults in the VW Passat), what could you do with them? Maybe post on the page yourself, offering to show how they could take a similar request to the next stage? The previous point leads to a further question: how can we turn users who land on our sites into active requesters (if indeed that’s a desirable aim)? One answer might be to explain the concept of FOI somewhere within the request page template, so it’s seen by every visitor. Another would be to build a user path that encourages readers to make their own request or—perhaps more likely to bear fruit, since making an FOI request tends not to be an impulsive action—include a newsletter sign-up button for people who want to know more. Alaveteli already includes some actions in the right-hand menu on every request page, but so far they have concentrated on asking the reader to tweet, or to browse similar requests. If you have ideas on how to encourage users to make requests, you could discuss them on the Alaveteli mailing list, or, if you’re a coder yourself, you could make the changes on your own branch and then submit it to be merged so that everyone can benefit. In the UK we are fortunate that when a news story is based on an FOI request, that’s usually mentioned within the story. It leads to a certain level of understanding of the concept of FOI within the general population. Whether or not that’s not the case in your country, you could keep an eye out for stories that were clearly researched via an FOI request. Where FOI is commonly mentioned, setting up a Google alert may help. You can then highlight these stories on a regular basis: for example, on a Facebook page, or on your blog. There was also talk of feeding a Facebook stream onto the homepage of one Alaveteli site. Sharing stories is one thing, but communities are a two-way endeavour. Facebook pages, blogs and Twitter accounts all need regular attention. Post often, reply to users’ comments and queries, and soon you may find that you have a responsive community, and can even ask your followers to do a bit of advocacy for you. A newsletter is also a useful way of getting your message directly into your supporters’ inboxes. Some requests just appeal more to human interest than others do, and they’re obvious candidates to be blogged/tweeted/Facebooked about. You might also consider putting out a press release. Is the New Zealand Prime Minister actually a shape-shifting reptile? In the UK we’ve generally taken the decision not to run these kinds of stories, though the press sometimes pick them up on their own anyway. Such publicity can lead to ‘FOI is a waste of public money’ campaigns, and it was suggested that it is useful to have a list of the good things that have come from FOI that you can provide in return: here’s one that @FOIMonkey produced in 2012. A middle ground between publicising ‘silly’ requests and trying to promote dry ones is to identify the stories that are in the middle ground: of great human interest, but with a serious point. Make the relevant requests yourself, if necessary. As an example, a request such as the menus for food served in prisons can have an underlying political point if framed correctly. 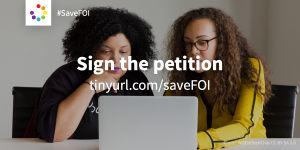 NGOs and campaigning groups can find FOI a useful tool, and the fact that Alaveteli publishes out the responses can also help them with getting their cause known. A mail-out to likely organisations, or even face-to-face visits, may help. Muckrock shared that they get users educated early, by conducting ‘FOIA for kids’ outreach (and FOI is also a subject in our own lesson plans). Here in the UK, we have visited colleges to talk to trainee journalists. 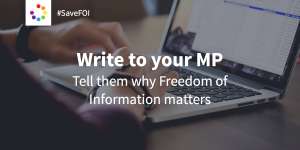 While most are aware of the FOI act, many do not know about WhatDotheyKnow and how it can be used not only to make requests, but to subscribe to keywords or authorities of interest. However, such visits are fairly inefficient: they take time and only reach 50 or 60 students at a time. A better way may be to create and promote materials that colleges can use for themselves. Although Alaveteli sites perform well in organic search, paid ads can give them an extra swathe of visitors. Both Facebook and Google are potential platforms for ads, and you may be eligible to receive a Google Grant if you are a not-for-profit: these give you Google Ads for free. mySociety are happy to share our experience in this area, and we will possibly put materials together if there’s enough interest. Some Alaveteli practitioners found it useful to partner up with a newspaper or online news source. The benefit runs two ways, since Alaveteli can be such a useful tool for journalists. Dostup Pravda in Ukraine is a part of the country’s most popular news site, and perhaps one of the most expert Alaveteli sites at getting publicity. Pre-launch they ran a sophisticated campaign with celebrities hinting, but not saying explicitly what the forthcoming project would be. Their t-shirt was even worn by an MP on national TV. For the solo activist, such promotional activity seems almost impossible, but news outlets have the contacts and resources in place to make it almost a routine task for them. The press love lists and awards. One FOI site puts out an annual award for the best, the worst, and the most ridiculous requests made in the previous year. This is a great idea for publicity, because as well as bringing the name of the site into the public consciousness, it also encapsulates a little lesson about how to use—and not abuse—FOI. So there you are: ten ideas to promote your site. Do feel free to add more in the comments below. And good luck! Image: Courtesy of the Boston Public Library, Leslie Jones Collection. There’s no other conference like it. 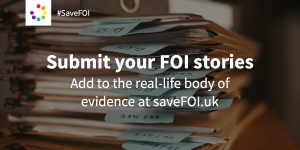 If you’re involved with Freedom of Information technologies, you’ll want to be at AlaveteliCon, the only event with a specific focus on FOI in the internet age. 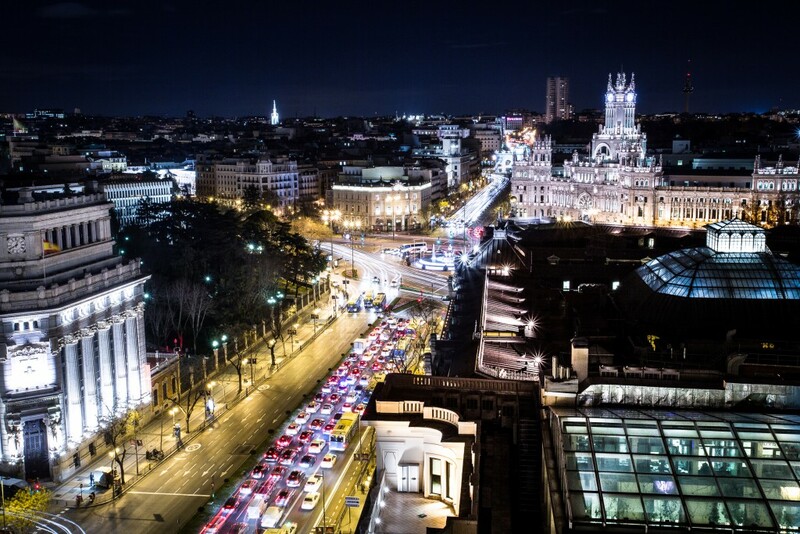 AlaveteliCon brings together civic society organisations and individuals from around the world. All have one thing in common: an interest in online Right To Know tools. Interested? Keep reading and apply below!